BUYING! X Checkout $29.99Buy Now! 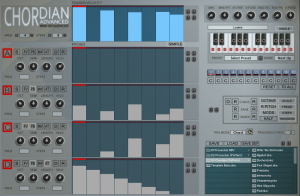 Kontakt Sequencer Collection by Homegrown Sounds is Soundware (e.g. samples or presets that load into other products). A collection of advanced MIDI sequencers built to use Kontakt's MIDI output to play whatever instruments you can point them at. Chordian and Procession Advanced are extensions of the single Pattern Version of the sequencers which are also included in the collection. There is also a free basic version of Chordian available from here. 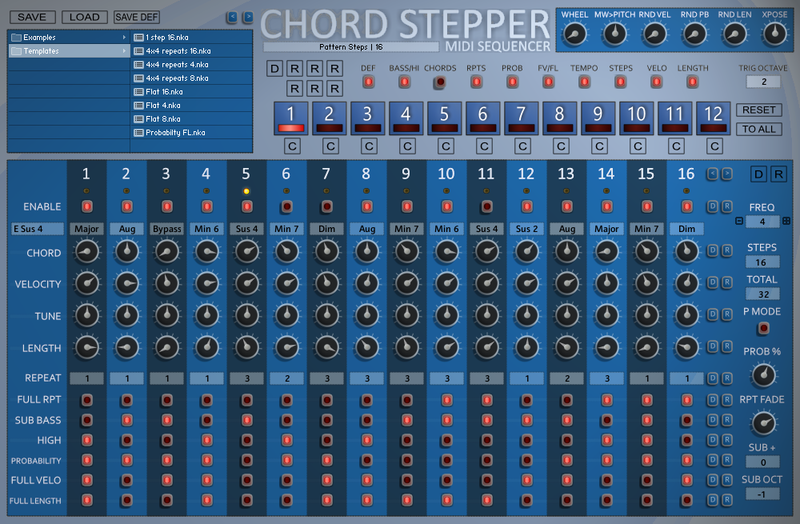 Chord Stepper is a MIDI Sequencer for Kontakt 5 which is focused on creating Chord Progressions triggered by a MIDI Note. It has 12 Patterns which can be switched in real-time via the set of Triggers which are highlighted in Red on the Kontakt GUI Keyboard, which can be placed on any Octave. Each step can play a Chord Shape with a set of the most common Chords. Additionally you can also have a Sub Bass Root note, an optional Sub Bass + Note and a high Root note per step. Probability can be enabled per step using the probability % to decide whether notes will play. This can be set so that either all notes or most interestingly the default will decide on a note by note basis which adds an incredible amount of movement to the pattern. Full repeat decides whether the length should be a single step on the last repeat or held on to the next note through repeated blank steps. You can also override the Velocity and Length to Full per step. Each step can be repeated x times with an adjustable repeat fade time for each Repeat. Because the repeats add to the length of the pattern steps, there is a Total Box which always displays the total amount of steps that are being used. This makes it easier when you want to constrain to a a specific number of Steps. Chord Stepper makes good use of the Pitch Bend, Aftertouch and the Modulation Wheel. The Mod Wheel runs up Chord Inversions much like Procession, PB Up shortens the Length, PB Down will cycle through the steps for instant remixing and finally Aftertouch shortens the Velocity. Globally there are Random amounts available for Velocity, Length and Pitch Bend which are set as a Percentage. There is the ability to Copy any Pattern to the Currently Selected as well as a Copy to all function. The Default Buttons cycle between switching a row of controls either All On or All off for each row where applicable. There are plenty of Randomizers, although this Sequencer is more about using your ears really due to the complex nature of Chord Sequences, the Randomizers are less rewarding than the other Sequencers due to the nature of Chord Progressions. However there are options for deciding which elements will be Randomized making it highly customizable. 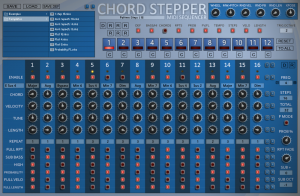 Chord Stepper does not come with Factory Presets but does include some useful Templates which make good clean starting points. There are so many variables to Chord Sequences that it really is a matter of taste and so the Sequencer is best used by using ears and judgement to create Sequences which are pleasing to you. 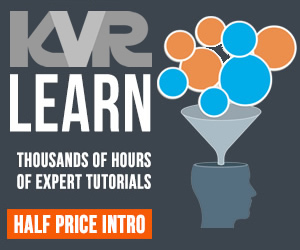 It is hoped that you will find it very easy to build complex sequences. A suggested working method is to work on a pattern and then use 'Copy to All' and then work on variations on the other Patterns, and remember you do not need to use all of them. 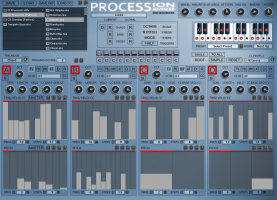 Procession Advanced is a dedicated MIDI Sequencer built for Kontakt 5. It allows using the MIDI Output of Kontakt to Sequence any software or hardware synth you can direct it to. The idea was to create a Sequencer which allowed using different tempo and step length Sequences which are run through a Pitch Re-Scaler to easily create and explore complex Sequences. It also has a simple mode which locks all Sequencers to a single Frequency and Step Amount which is useful if you want to create chord style sequences. It uses 4 identical Sequencers, as well as independent Frequency and Step length for both the Trigger and Pitch Sequences, each sequencer also has Tuning, Length Percentage and Velocity controls which all support host automation. Additionally each of the Trigger sequencers can also be used to sequence an external CC plus a base value knob and it can run alongside a trigger sequence or just be used to sequence the CC. The Scale Remapper has a list of 80 preset scales to choose from, however you can create your own over a 24 key range. All MIDI output is sent through the remapper and each note is converted to either the next up or next down value depending on the selected mode. Procession has some interesting Modulations, Aftertouch will scroll through an alternative increasing tempo, the Mod Wheel is used to transpose upwards through the Scale, Pitch bend Up reduces the Step time and Pitch Bend Down Reduces the Velocity. These can be enabled per sequencer. 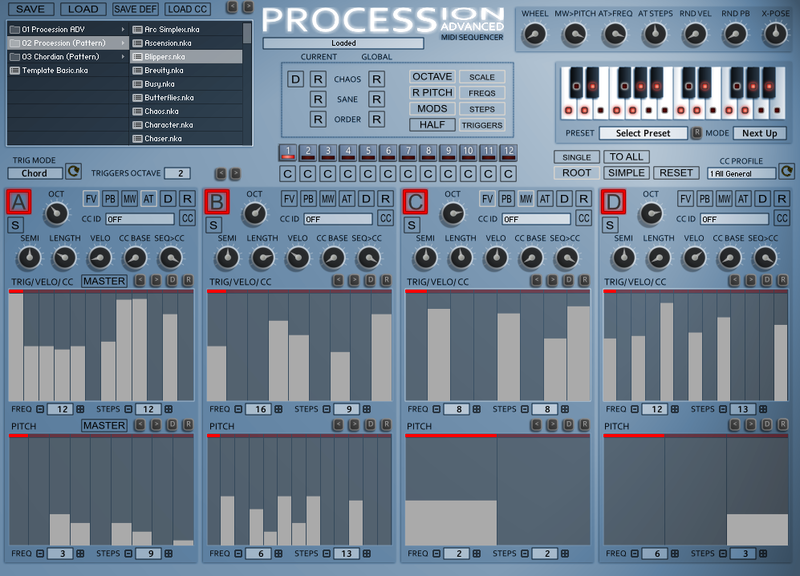 Procession Advanced adds 12 Patterns which can be changed using the Red Trigger octave in real-time. All Sequence controls are duplicated as well as the Pattern Scale, so that it is effectively 12 Processions in one. There is a large selection of both local and global Randomizers which are tuned to provide interesting results. There are 3 Global Randomizers which have varying flavors ranging from Chaos to Order which mainly addresses the Frequencies and Step times used for each. Additionally there are 8 other options to customize the Randomization in various ways. This video shows Procession in use which is also useful for Advanced as Advanced is basically Procession x 12. Chordian Advanced is a MIDI Sequencer designed to work with the Kontakt 5 MIDI output. It is a variation on Procession but with more of an emphasis on stacking pitches and lacks the CC implementation. 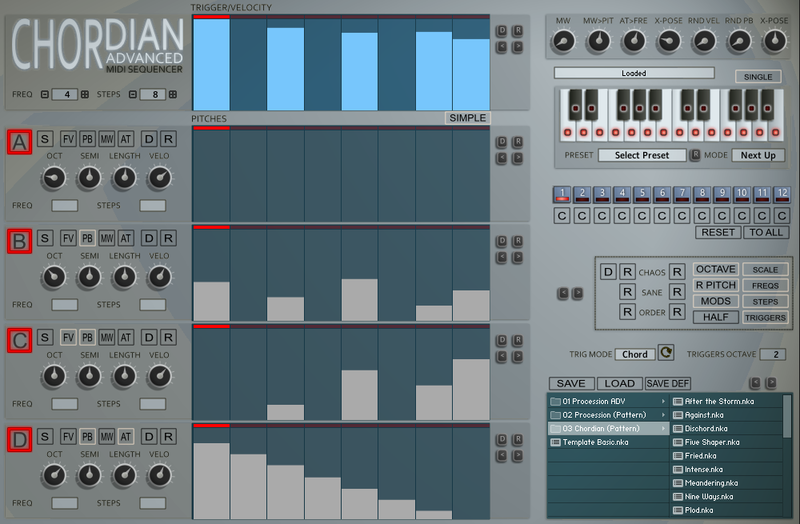 The Advanced Version adds 12 unique Patterns which can be switched in real-time using the Trigger Octave Range. It still keeps most of the features from Procession such as the Scale Remapper, individual Length%, Velocity%, tuning capabilities, the file Browser and the Randomizers. It can even load Procession sequences using the A sequence for triggering, and on the other side Chordian presets can be loaded into Procession.